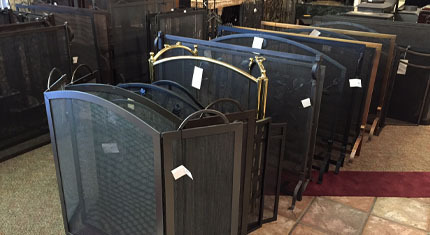 Fleet-Plummer has a wide selection of screens to fit your fireplace, in several different styles. Come talk with one of our experts today! Fleet-Plummer carries numerous sizes and styles of fireplace screens. To see our selection and speak with one of our fireplace experts, feel free to visit us, or use the contact form below. Thank you! One of our fireplace experts will return your message as soon as possible.